Next on The Scoop: Does Mysterious “Ghost Fur” Keep Appearing on Your Floors? Many of us don’t need a particular reason to crack open a delicious beer, nor to uncork a bottle of wine at the end of a long day. February presents more opportunities than usual, with a number of alcohol-centric occasions. Celebratory dates on the calendar include the Kitten Bowl on Feb. 1, followed closely by Valentine’s Day on Feb. 14, National Drink Wine Day on Feb. 18, and National Margarita Day on Feb. 22. During festive days like these, it’s likely that an open container may pique the interest of our cats. 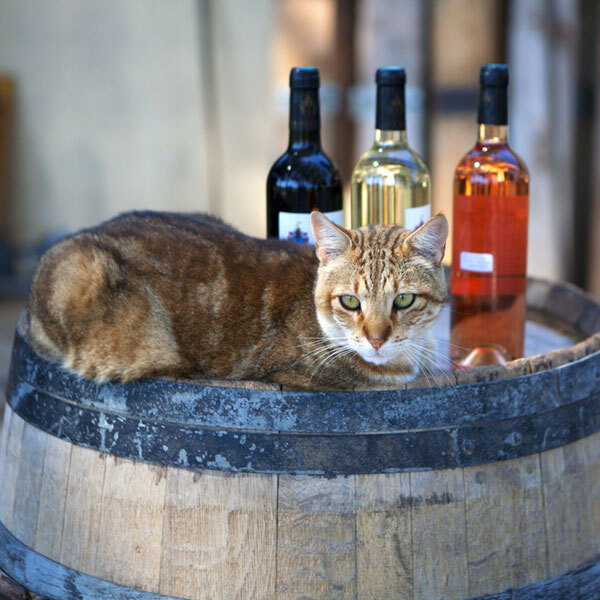 Allow Catster to preempt the question, “Can cats drink wine, beer, or any other kind of alcohol,” by stating without hesitation that no, cats should never consume alcohol of any kind. We’re well aware that the past couple of years have seen the advent of marketing oddities like beer for dogs and wine for cats. 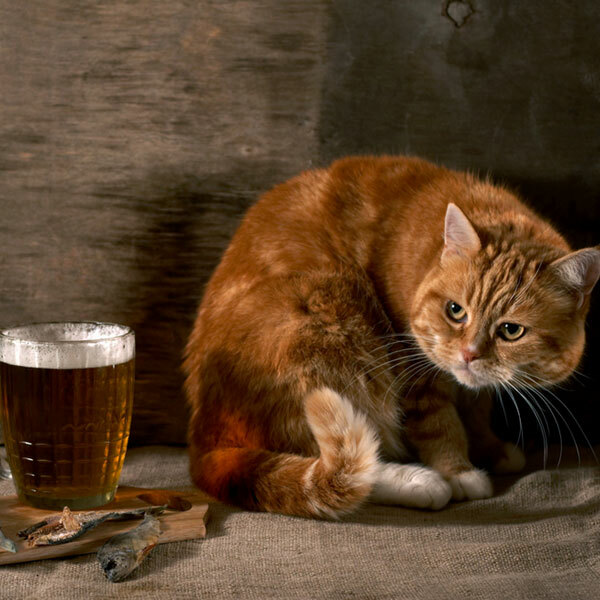 Not only can the main ingredients of traditional beer and wine be toxic to cats, but in their more pedestrian alcoholic forms, they are potentially lethal to our feline friends. 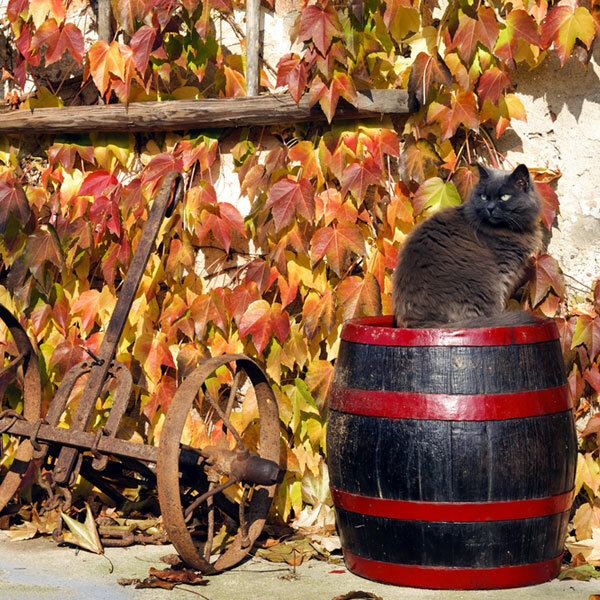 All the amateur vintners and homebrewing enthusiasts out there should be aware that the essential building blocks of their labors, grapes and hops, should be kept from any cats or kittens on the premises. The links between grapes and digestive upset, including diarrhea and vomiting, and possible kidney damage in dogs are well-established. While the risk to cats presented by grapes has less anecdotal and official evidence behind it, it’s sufficient to draw warnings by both the ASPCA and PetMD. Since dogs are more likely to ingest non-food items than cats, there is, again, much clearer evidence that hops used in brewing beer are toxic plants to dogs. What we do know is that, for dogs, eating hops causes dramatic body-temperature fluctuations, deleterious effects on the blood’s ability to clot and flow, and even death within six hours of ingestion. Your cat may enjoy a grape now and then, or express interest in a raisin, but as a general rule, it’s best to keep them clear of grapes and hops. 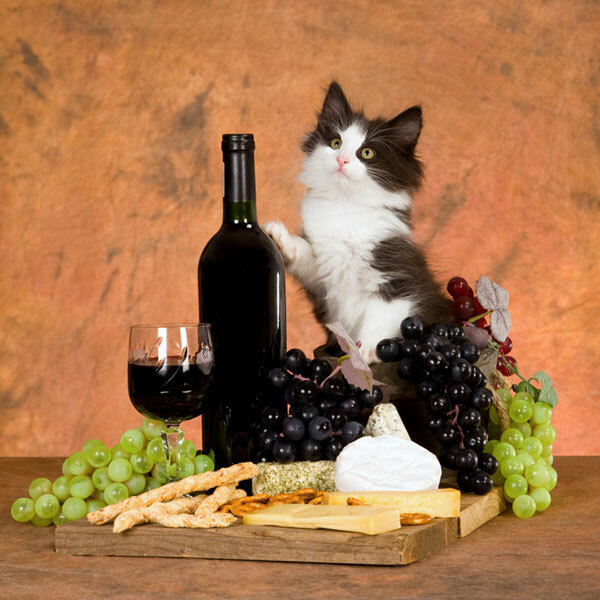 The “wine” for cats mentioned above is made from diluted grape juice mixed with the essential oils in catnip. If you’re willing to allow your cat to experiment with grape juice and were lucky enough to have one of the 1,000 bottles produced during its initial run imported from Japan, more power to you. One thing is beyond doubt or negotiation, however, and that is the reality of alcohol and ethanol poisoning in cats. Because cats’ bodies are so small compared to their owners, what we might consider a sip of beer, wine, or a mixed drink like a margarita, can endanger a cat’s life. A cat’s liver and kidneys, much like those of their owners, are hardworking and resilient organs. Among their normal functions, they are called upon to process and filter out toxins, aid in digestion, and facilitate waste disposal. What humans would consider a completely insignificant amount of alcohol — whether it’s grain alcohol, wine, beer, or otherwise — can be a deadly danger to a fully grown adult cat, much less to an unsuspecting kitten. 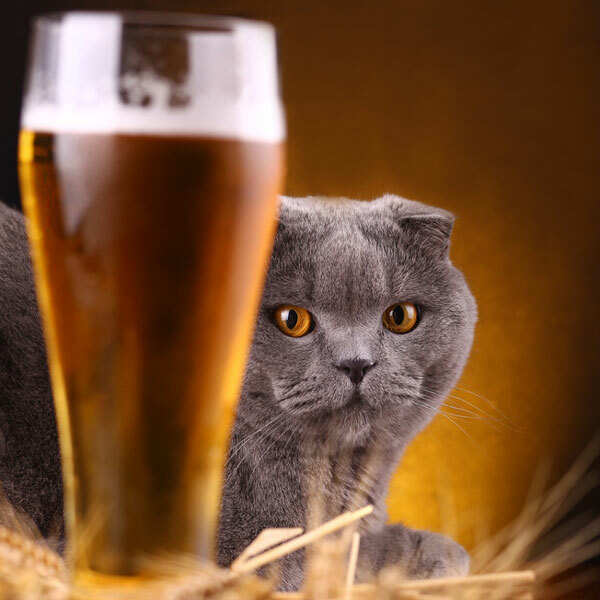 The higher the alcohol or ethanol content of a given beverage, the higher the risk to your cat’s health. Go get the measuring spoons in your kitchen; one teaspoon of grain alcohol is enough to cause symptoms of alcohol toxicity in cats. 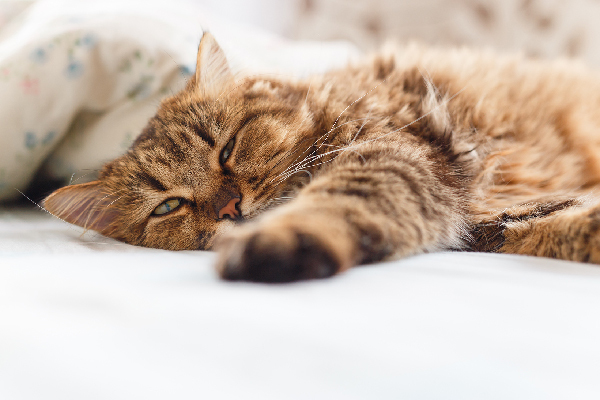 Three teaspoons, or one tablespoon, can put an otherwise healthy cat into a coma. As with humans, whether the cat has eaten food recently makes a small difference. Cats are more likely to experience dire consequences from alcohol poisoning on an empty stomach. Cats should be prevented from actively consuming alcoholic beverages. 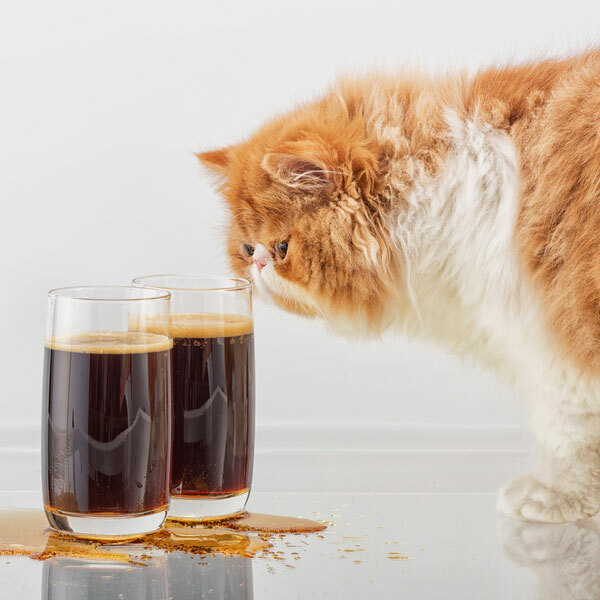 Any spills or party fouls you commit in the presence of your cats should be thoroughly cleaned when they occur. 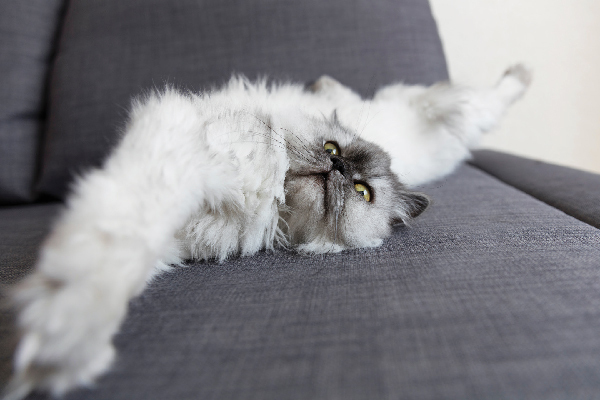 Anywhere between 15 minutes to two hours of lapping up beer or wine, or even simply absorbing alcohol through the skin, and cats may start to exhibit symptoms of alcohol poisoning, more formally known as ethanol toxicosis. Symptoms mirror those in humans, including disorientation and dizziness, along with a marked inability to control their bowels and bladders. 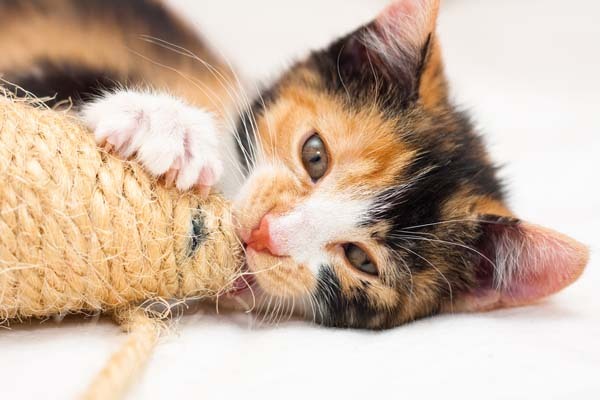 Depending on how much they’ve ingested or absorbed, cats can experience dehydration, lower body temperatures, and their blood can become acidic, conditions which can have negative cascading effects throughout a cat’s body. If you believe your cat has consumed any alcohol, the best thing to do is get the cat to the veterinarian without delay. Anything containing alcohol can endanger your cat! Beer, wine, or any kind of alcoholic beverage can have immediate and noticeable effects on your cats, and can be lethal to kittens. This caution extends to anything with the least alcoholic or fermented content. That means any food prepared with alcohol, from cakes to meat dishes, as well as any common household products, from cough syrups to cleaning solutions, should be off-limits. All of these should be carefully stored when not in use or under direct human observation. The smallest amounts of beer, wine, or other alcoholic beverages can easily overwhelm the organs that comprise a cat’s natural filtration systems and can have far worse consequences. By all means, enjoy National Drink Wine Day with your human chums or have a seasonal beer with a loved one on Valentine’s Day. 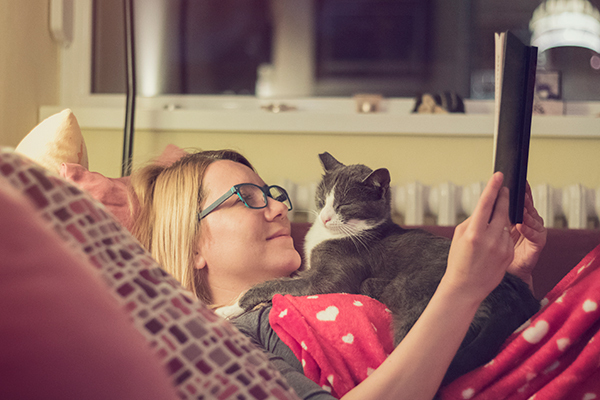 While a cat owner’s deepest desire may be to treat her cat like a member of the family or a trusted friend, it’s strongly recommended that this not extend to sharing our favorite strong drink with them.